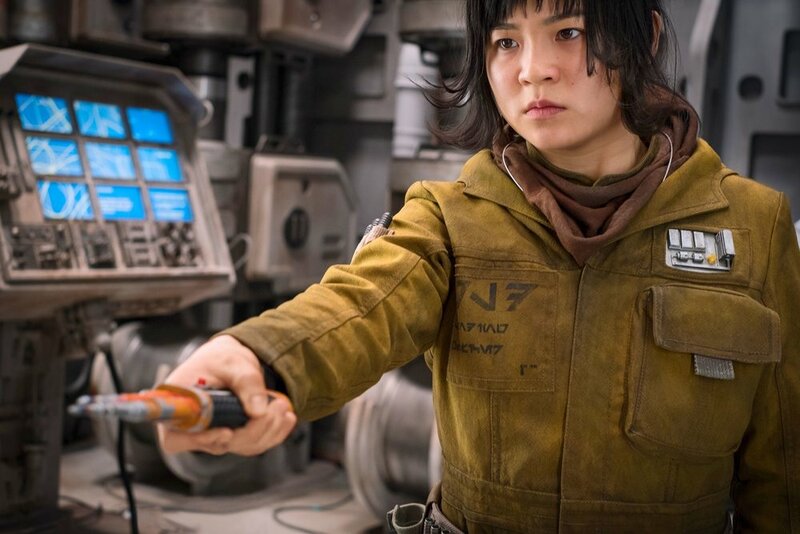 A little over a year ago must feel like a long time ago in a galaxy far, far away for Kelly Marie Tran, because as one of the newcomers to the Star Wars film universe as Rose in The Last Jedi, that was long before she was launched into the spotlight. Now, all of us can see what director Rian Johnson saw in her, because they’ve made parts of her audition tape available for public viewing. In a new video published Wednesday by the official Star Wars YouTube channel subtitled “Becoming Rose,” we get a brief 2-minute documentary that includes behind-the-scenes info from Rian Johnson, Kelly Marie Tran herself, and her co-star John Boyega, who plays Rose’s comrade Finn in the movie. The real highlight of the video is what’s known as a “Chemistry Read,” in which Tran performs a scene from the movie alongside then-potentially future co-star. Spoiler alert: When it comes to chemistry, they have it. These two get along so well in 'The Last Jedi'. We also get behind-the-scenes interviews with Tran at different stages of the process, including after her audition. At every step of the way, she appears as her charming bubbly self that the public has come to appreciate — especially over the past few weeks. The video also explains the dynamic between Rose and Finn in The Last Jedi, which is that Rose is a mechanic that admires the legends about Finn following The Force Awakens, but they come together out of a mutual need to put their unique skills to good use for the Resistance. As such, they journey together on a secret mission to Canto Bight. The rest would be a spoiler.